Religion is not to blame for all the world’s problems. If you believe that the eradication of religion will fix humankind then your faith is more misguided than those you believe you are better than. Religion is not the problem. If you believe there is no God (or Gods), then people cannot be doing God’s will. Therefore their actions are their own, and they choose to commit atrocities. This would indicate that the behaviour is in their (or our?) nature and is not the fault of religion. It cannot be both fantasy and the font of all evil. People will always find excuses for their actions. I get to mix with many religious groups of different faiths and denominations. The vast majority are communities of people who are interested in living their lives with generosity, selflessness and tolerance. They do this actively in their wider communities – actually practising being nice to people without trying to convert them. Sometimes they seem like the last bastion of selflessness in our materialistic, consumer, celebrity-focused society. Working with them is refreshing. Religion is not the problem nor the solution. It just is. However there are some evil bastards who will use any tools at their disposal for power. They should be the targets of our wrath, not the constructs they seek to pervert for their own means. Wherever you sit in the political spectrum, whatever deity or belief system you may or may not support, this is a pretty damn fine summary of the foe we face in the second decade of the 21st Century. For almost two and a half decades, we have submitted to the myth that war can be precise and sterile, safe almost, despite all contemporary and historical evidence to the contrary. 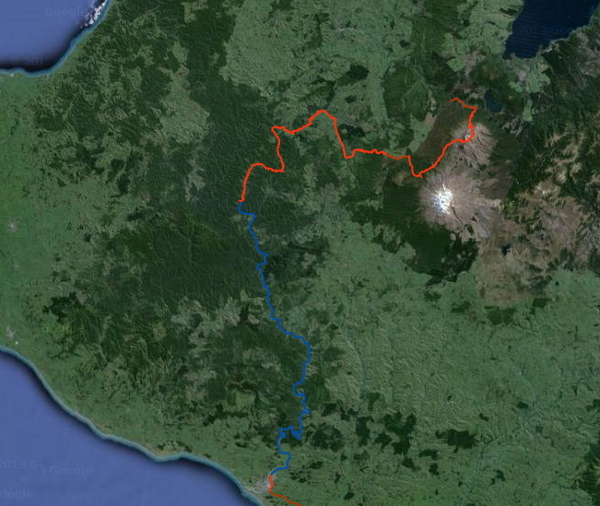 Kiwiscout Walks Aotearoa : Beginnings. Pat Beath has been a colleague and a mate for many years and I am most happy to support his latest endeavour, a charity walk along the Te Araroa Trail from Cape Reinga at the top of New Zealand’s North Island all the way down to the township of Bluff (where the best oysters come from) at the bottom of the South Island. A little about the charity that Pat is walking to support…Shine is a national organisation that counters all natures of domestic abuse…providing a range of integrated services to do what works to stop domestic abuse – from answering that first call for help to a free national Helpline to securing victims’ homes; their other services include KIDshine, Safety First (crisis support), Safe House, No Excuses men’s stopping violence programme, training programmes, and more. I don’t think it really needs any explanation beyond that – definitely a cause worth supporting and you can do that right here at Givealittle. Last weekend, Kereama Graham Hare Wirangitakina passed away at his home in Waiouru. Known to many as Graham Wi or just Wiina, Graham was a friend, colleague and mentor to many of us. He was laid to rest yesterday. Hey brothers. We carried our bro into the Wharenui at the Waiouru Marae and he looked so at peace after his years of silent suffering. For those of yous that haven’t seen him for some time, he progressively got worse over the years. Spoke to his brother and mum, as sad as it is, it was a blessing in disguise and he is now at peace back with his whanau in the sunny far north. He will have a catch-up with his long lost bro Andy Warren in heavenly peace. ONWARDS brothers. Kereama Graham Hare Wirangitakina, I have been thinking all week about how you have influenced my life, and finally I know what to say. Long before I became a father, you explained and showed me what fatherhood actually meant. Little did I know at the time, that conversation would shape my understanding of parenting. There were many other snippets of gold in my memories of you Cpl Wi (Cpl at the time), but to me, this was undoubtedly your greatest impact on my life. I will be forever indebted to the interest you took in helping mold who I am today. I am sorry I cannot be there to say farewell, but I will certainly be charging a very full glass of Rum to you….many times. Take it easy Wi, thanks again and RIP. Chur whanau just arrived back from Wi’s tangi and I can report that things went really well. Soldiers, whanau and friends came together…we sang, we laughed, we remembered, we haka’d, we had orders, we had confirmitory orders, we rehearsed, we got cheeky, we got angry, we took a spiritual journey to Te Reinga, we had the meanest weather, and we comforted one another. Although it was a collective effort lead by capable men and women, a big mihi goes out to the bro Soli! 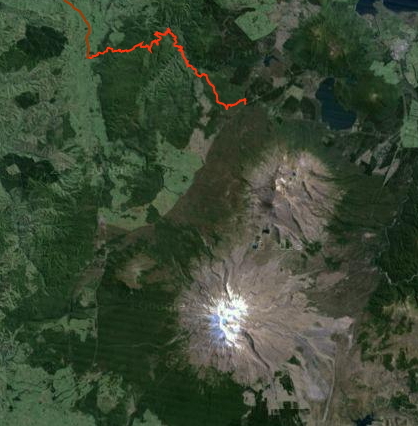 Nei ra te mihi atu ki a koe te kaihautu o te waka nei. The spirit of Ngati Tumatauenga is well and truly alive…mai nga piki me nga heke we will always stand tall in the face of adversity. If I can sum it up in one word “SPEECHLESS”!! E Winar, okioki i te atawhai o te Atua bro…till we meet again dear friend. I don’t remember when I first met Graham Wi, as I knew him, it would have been as a very junior soldier in 2/1 RNZIR in Burnham or 1 RNZIR in Singapore some time in the mid-80s. But my most memorable recollection of him is from 1 RNZIR after it relocated from Singapore to the Manawatu in 1989. I think it was 1993 or ’94, and responsibility for conducting infantry corps training (infantry specialist training after recruit training) had passed to Alpha Company, 1 RNZIR. To regenerate the battalion’s numbers a lot of infantry soldiers had been recruited but the recruit depot in Waiouru was unable to handle the numbers and issued an ultimatum to the effect of ‘…you want them trained, you come and train them…’ As a result, 1 RNZIR sent a platoon commander, platoon sergeant, and some corporals to Waiouru to train a platoon’s worth of infantry recruits. Graham Wi was the that platoon sergeant. When these young soldiers passed out of their recruit training and arrived in Linton, we were all struck by their professionalism, enthusiasm and standards – read between the lines, and you might gather that not all the products of the recruit depot at this time were as impressive. 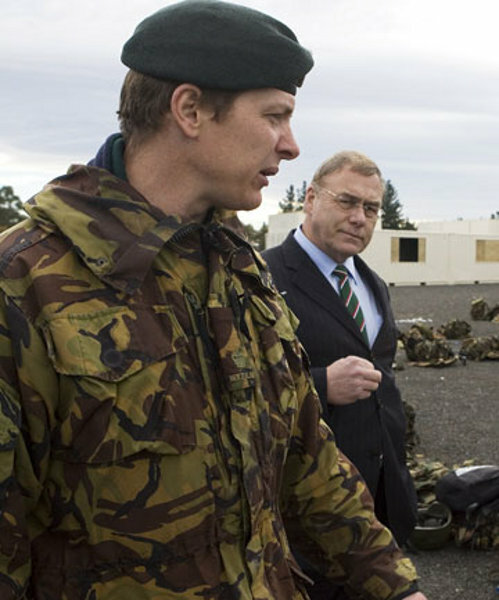 Then we started to to hear whispers from Waiouru that the 1 RNZIR training team that we had sent there might not have played by the PC rules and perhaps some of the recruits had been mistreated i.e. that their professionalism, enthusiasm and standards might be more due to fear than the infantry ethos and culture. I got a call from Rowland Harrison at Hawkeye UAV yesterday to tell me that retired naval aviator, Carroll LeFon, aka Neptunus Lex, had been killed flying a F-21 at NAS Fallon. I never met Lex but corresponded with him a couple of times after Rowland introduced me to his blog in 2009 and always found his blog an insightful perspective into the world of military and general aviation, also also into his ‘take’ on world events. In my ever so humble opinion, one of the better blogs around and certainly an inspiration for the rest of the military blog community. I mourn the passing of a great naval aviator, a professional analyst of all things naval, and a soulful and compelling writer of poetry and prose – Ray Mabus, SecNav. 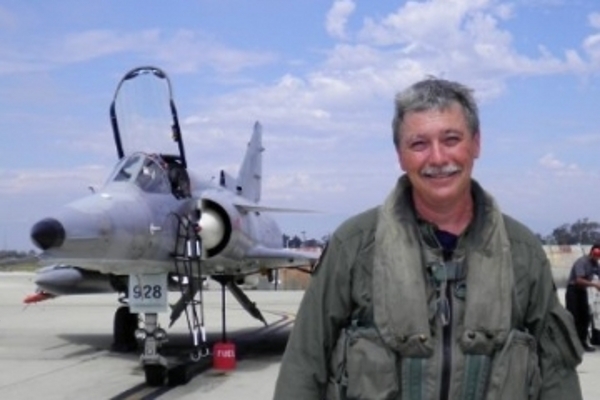 Retired naval aviator Carroll LeFon, perhaps better known by the nom de plume Neptunus Lex, was killed in a plane crash Tuesday morning when his F-21 Kfir crashed at Naval Air Station Fallon, Nev., his blog confirmed. LeFon, 51, retired as a captain in June 2008 after serving as an instructor at Top Gun and in various positions at several strike fighter squadrons. In his civilian life, LeFon worked for Airborne Tactical Advantage Co., a contractor that operates simulated enemy aircraft with which student aviators train. But as a prominent military blogger, he was part analyst, part cheerleader, part critic and part poet who wrote about the Navy, his family, the military and global affairs with the casual tone, frankness and familiarity that flows through ready rooms. His sea stories were personal memoirs as well as parables. ATAC and Fallon did not return calls for comment. 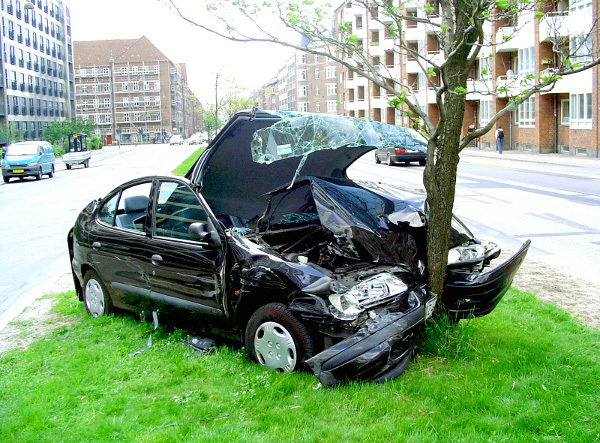 The cause of thecrash is under investigation. LeFon began blogging in 2003 during the early months of the invasion of Iraq. Like many other military bloggers, he initially wrote anonymously — it was and still can be problematic for service members to openly publish opinions. Besides writing for his personal fulfillment, he tried to counter media reports that would tax the military’s will to fight, said Cmdr. Chap Godbey, a blogger, foreign area officer and the author of one of the dozens of tributes to LeFon to hit the web as news of his death spread. “He was a guy who was able to put out the truth, put out first-hand reporting from folks and put out things that would not have gotten out any other way,” Godbey said. LeFon’s blog chronicled his own experiences in the Navy, his transition into retirement and his second career in the civilian workforce. He was thrilled to fly Kfirs as opposition forces because it meant that he would continue to operate one of the world’s most advanced jets, Godbey said. “The joy of having a second chance, not being over, that’s a big thing for fighter pilots, because once you’re done, you’re done. And that change hits people pretty hard,” he said. Originally from Alexandria, Va., LeFon earned his commission through the Naval Academy in 1982. “To this day, I cannot see the academy’s chapel dome in the distance without checking my watch to see if I am late, and wondering whether I am going to be in trouble,” he wrote in one of his posts. 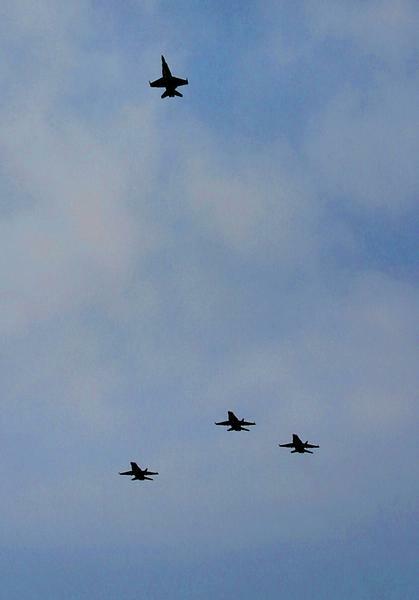 He reported to his first squadron in the fleet, Strike Fighter Squadron 25, in July 1987. “Here is where I discovered that despite being the only male child in my family, I had twelve brothers,” he wrote. Several other billets involved training, including a tour as an instructor at Navy Fighter Weapons School, better known as Top Gun. He was the executive officer and later commanding officer of Strike Fighter Squadron 94. He was with that squadron from June 2001 to July 2003. Along the way he deployed seven times, serving on the carriers Constellation, Independence and Carl Vinson. He earned two Legions of Merit, two Meritorious Service Medals, the Air Medal (Strike/Flight Award), two Navy/ Marine Corps Commendation Medals and the Navy/Marine Corps Achievement Medal. He leaves behind his wife and three children, including a son who flies MH-60S Seahawks. “Married to the best girl I ever met, who also delivered up three wonderful children. Don’t really know how I could be happier, or more blessed,” he wrote. In regard to Vietnam, it is too easy to focus on the perceptions of ultimate failure without understanding what the conflict was about from all protagonists’ points of view, and to ignore what actually worked which was an awful lot of it. Vietnam offers some great opportunities for ‘Yank-bashing’ but in reality, it was a learning experience for all the nations involved. Did the air war over Vietnam suggest a ‘best practice’ for the employment of air power? I may have missed one or two minor capabilities but the development of best practice, which lies predominantly at the tactical and operational levels, is largely separate from the outcome of the conflict, certainly from victory. In fact, it might be said that the best catalyst for learning is a good punch in the nose. Curtis Le May said he could have ended the Vietnam War inside two weeks. Do you think this was possible? Without a doubt. Le May was a strategic thinker and it is unlikely that he was only thinking in terms of targeting only North Vietnam. The two key enablers for North Vietnam’s war effort were the Soviet Empire and China and Le May would have been considering what things they might hold more dear that sponsoring a sideshow conflict in Indochina. This is not to say that he would propose physical attack on either nation or its assets but certainly the big stick might have been waved in other geographic and political areas. This was the time of Eisenhower’s and Kennedy’s nuclear brinkmanship over Matsu and Qemoy, Berlin and Cuba. Having said that, there has never been any doubt that the USAF and USN could have shut down the flow of ALL military aid into North Vietnam in a week: North Vietnam only has a very small number of ports and railway links through which this aid travelled and these were always off-limits to the campaign that was conducted. Without the external war aid, ranging from AK-47s to SA-2s, coming in by ship and rail, North Vietnam would have had little more than moral support to provide its forces in the south. What do you think are the essential conditions for an interdiction, denial campaign to be successful? – and – were they met in the Vietnam War? having the means to strike. The interdiction campaign was at the operational level while along the Trail and in South Vietnam itself tactical actions were conducted daily to constrain the flow of reinforcements and supplies to anti-government forces. If the operational campaign was successful, then the tactical actions would have been less challenged. It may also have meant that it would have been less necessary to conduct airstrikes into Laos and Cambodia, especially since North Vietnam’s ability to influence and intimidate those governments would have been reduced by a successful campaign north of the DMZ. Is it true to say that the Vietnam experience represented a massive failure of air power? As per my response to the first question, not even. Not only were most aspects of airpower employed well, many were developed and taken to a much higher level throughout the war. To fixate on one aspect of the air war, a relatively small one in the timeline when the various bombing halts are taken into consideration, and based on that one aspect, declare the whole campaign a failure of air power is grossly over-simplistic. Was air power unduly restricted by political considerations? Yes and this has been well documented since the end of the war. This is not to say that a strong political will in the White House would have led to a victory for South Vietnam as there are no guarantees in war, and less so in the complex environment that was post-war Indochina. We can see another example of political considerations affecting the application of air power in the way that the false lessons of DESERT STORM led to the false perception that a similar approach would bring the Serbs to heel; and again in Iraq and Afghanistan where SECDEF Rumsfeld favoured the use of air power over the use of ground forces.